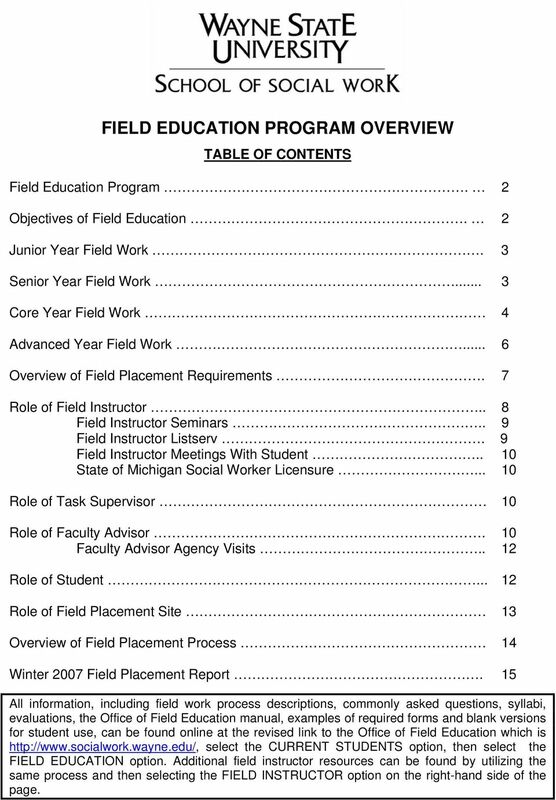 Download "FIELD EDUCATION PROGRAM OVERVIEW"
1 FIELD EDUCATION PROGRAM OVERVIEW TABLE OF CONTENTS Field Education Program. 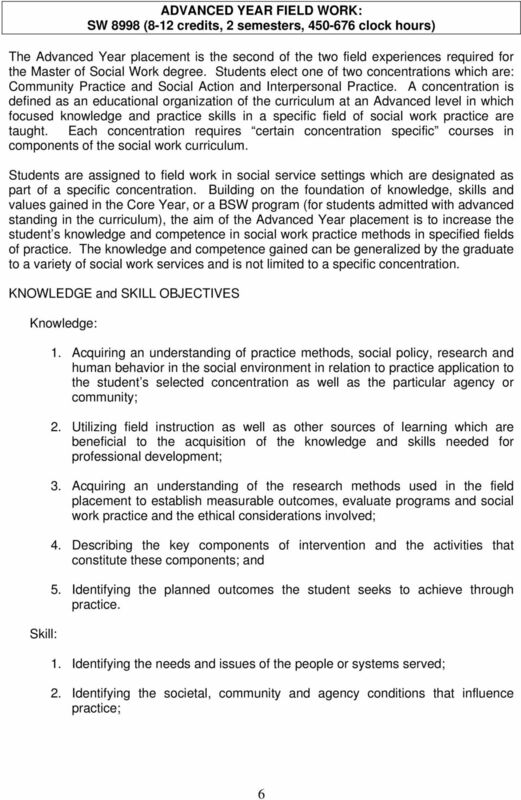 2 Objectives of Field Education. 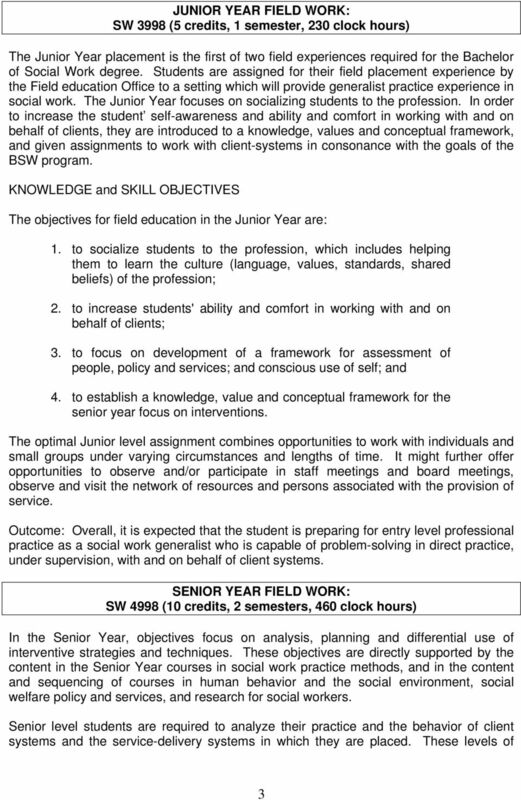 2 Junior Year Field Work. 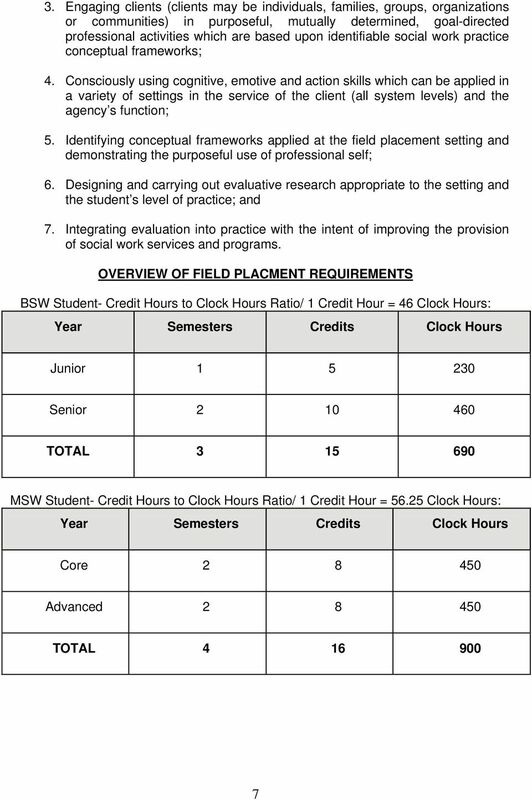 3 Senior Year Field Work... 3 Core Year Field Work 4 Advanced Year Field Work... 6 Overview of Field Placement Requirements. 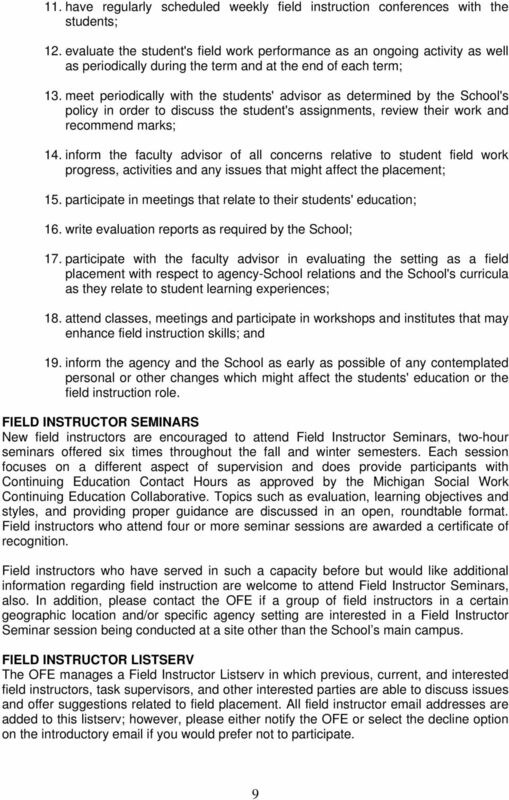 7 Role of Field Instructor.. 8 Field Instructor Seminars.. 9 Field Instructor Listserv. 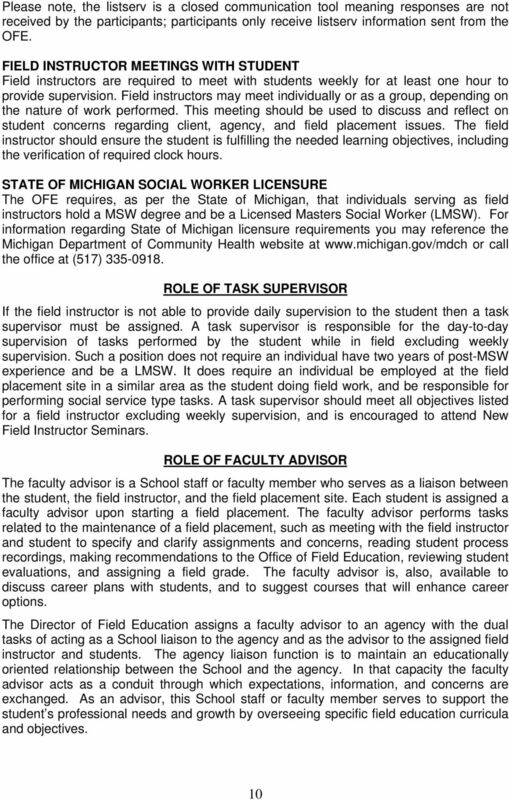 9 Field Instructor Meetings With Student.. 10 State of Michigan Social Worker Licensure Role of Task Supervisor 10 Role of Faculty Advisor. 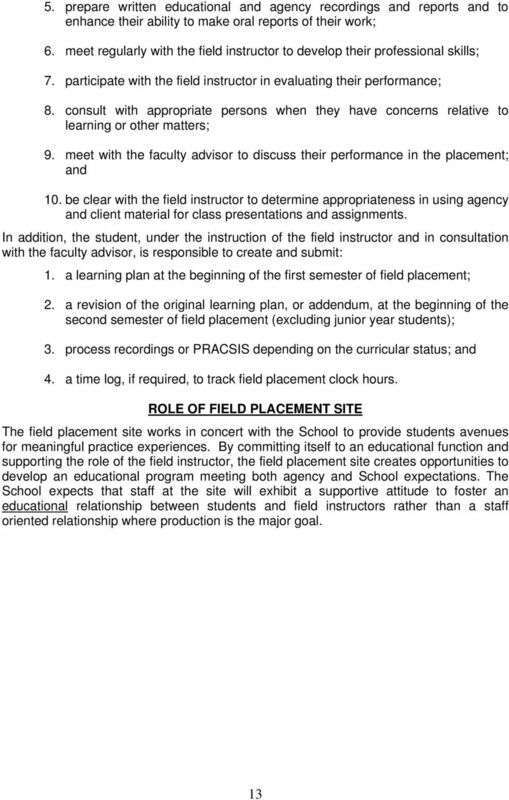 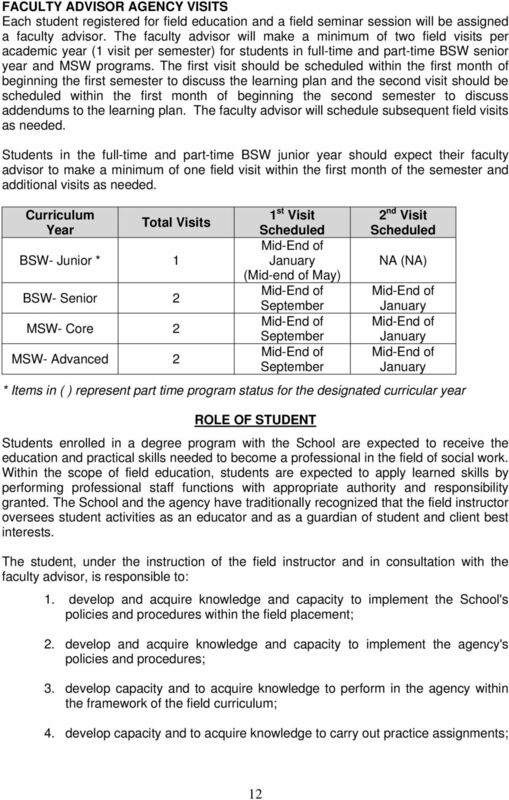 10 Faculty Advisor Agency Visits.. 12 Role of Student Role of Field Placement Site 13 Overview of Field Placement Process 14 Winter 2007 Field Placement Report. 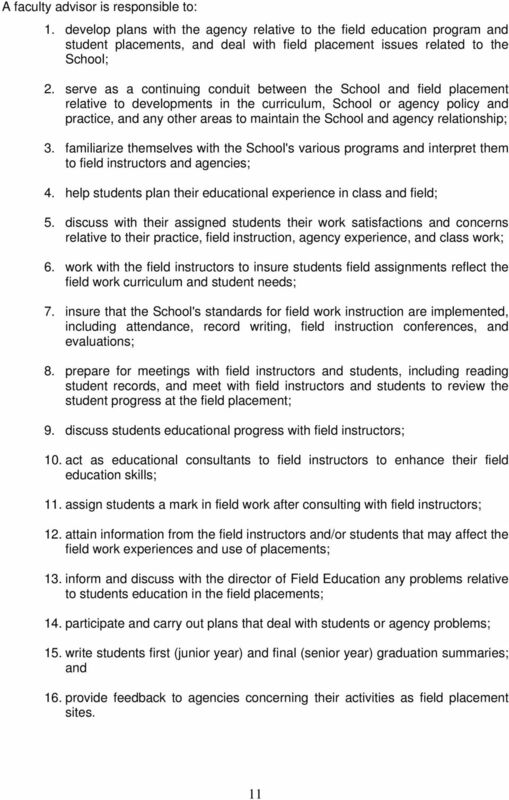 15 All information, including field work process descriptions, commonly asked questions, syllabi, evaluations, the Office of Field Education manual, examples of required forms and blank versions for student use, can be found online at the revised link to the Office of Field Education which is select the CURRENT STUDENTS option, then select the FIELD EDUCATION option. 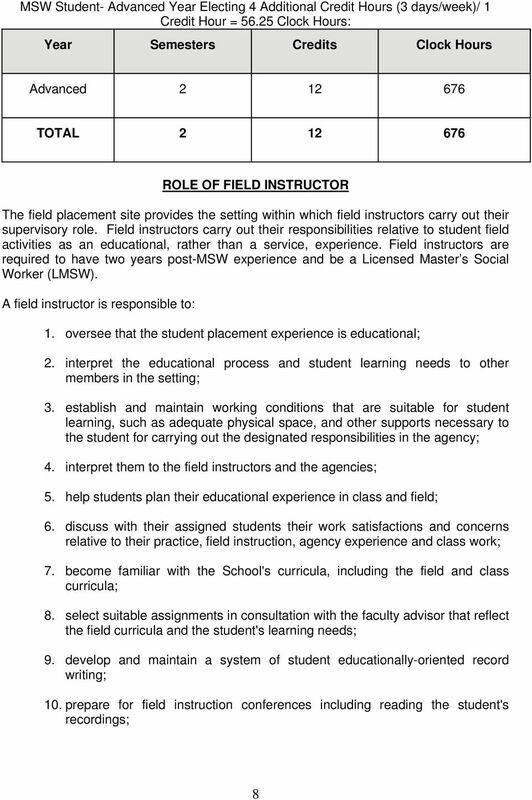 Additional field instructor resources can be found by utilizing the same process and then selecting the FIELD INSTRUCTOR option on the right-hand side of the page. 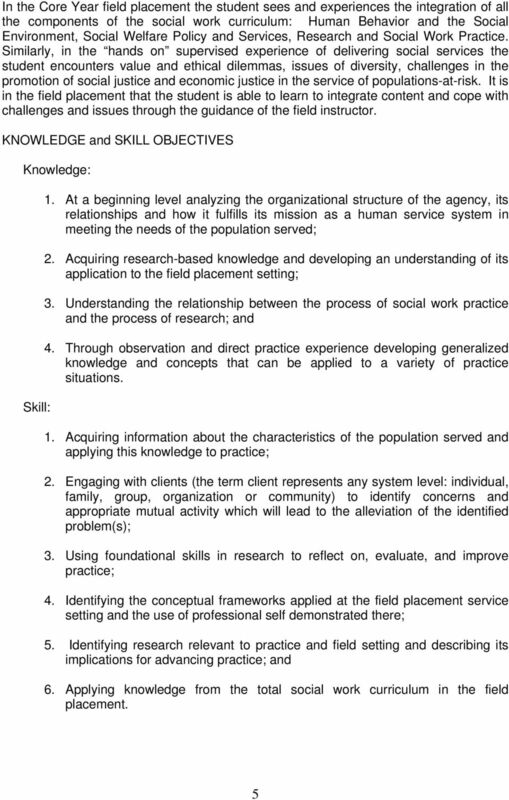 Standard 2: The program shall have an explicit philosophical statement and clearly defined knowledge base. 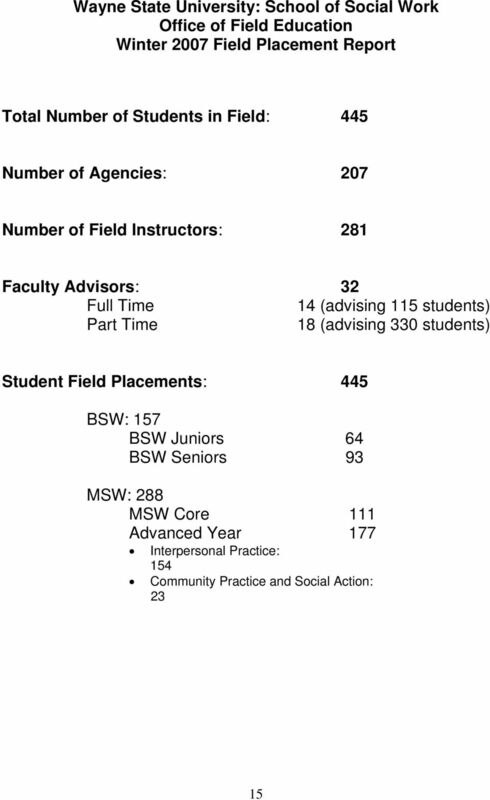 Ranking: For 2013, according to U.S. News & World Report, Temple University's M.S.W. 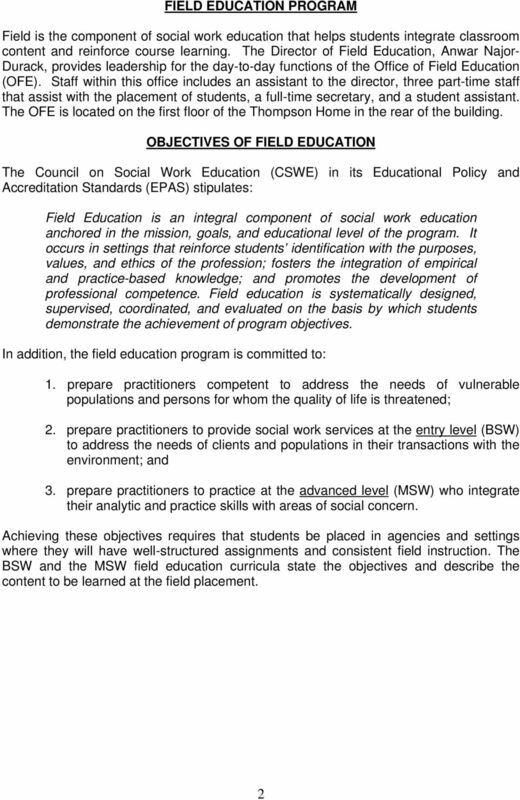 program ranks 66 out of 159 accredited schools of social work. 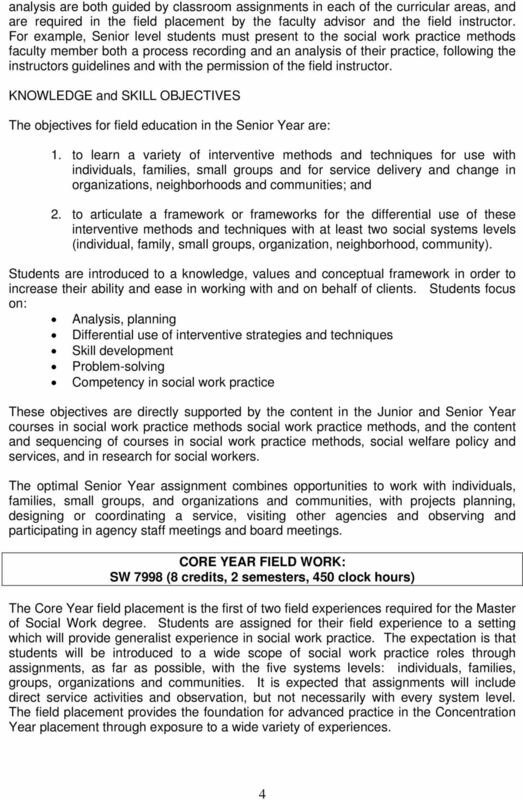 Academic Program: Doctoral Program in Clinical Psychology Graduate or Undergraduate: Graduate Date: October 10, 2003 Coordinator of the Program: Kenneth W. Sewell Person completing this form: Kenneth W.